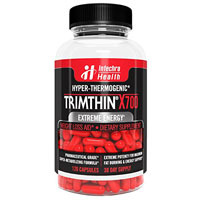 TRIMTHIN X700 is a non-prescription diet pill for energy and endurance that was created to be used as a part of a complete diet and exercise program. It is marketed not only to provide support for people who are working to lose weight, but who are also seeking more energy and drive to get the most out of their workouts. The reason is that it is designed to be an extreme energy pill. These red capsules are made by Intechra Health Inc. That company is based in the United States and sells a spectrum of other wellness products, including others within the weight maintenance category. 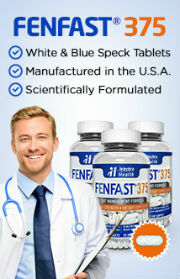 Intechra Health makes and manufactures all its products at a facility in the U.S.A. This allows consumers to feel confident in knowing that TRIMTHIN X700 is made within the best standards for safety and quality. Furthermore, Intechra Health went above and beyond those standards by choosing only ingredients that have been clinically studied. At the time this review was written, the proprietary formula for TRIMTHIN X700 was comprised of: Green Tea (Camelia sinensis) (leaf) Extract, Green Coffee (Coffea arabica) (bean) Extract 4:1, Conjugated Linoleic Acid, Caffeine, Xanthinol Nicotinate, Cnidium (Cnidium monnieri) (fruit) Powder, Eleuthero (root) (Eleutherococcus senticosus) Powder. These substances have all been clinically studied. This made it possible for the team at Intechra Health to select the ideal ingredients and combinations for the best option in weight maintenance support. It also gives consumers the opportunity to look into the studies that have been conducted so they can be sure this is the perfect product for their needs and expectations. This particular combination of substances includes powerful energy enhancers on top of thermogenic s and focus enhancers. Moreover, these ingredients also include fat fighters. These types of ingredient can help dieters to overcome some of their most challenging barriers to weight loss, such as fatigue, a slow metabolism, struggle to pay attention to an eating strategy and stay on track, and even problems in knowing that they’re doing everything they can to get results. TRIMTHIN X700 can be used alongside virtually any healthy weight management diet, including those that involve reduced calorie intake as well as regular exercise. 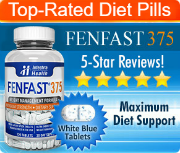 To use this product according to the instructions, take 2 pills a half hour before breakfast and again before lunch.